Jared Rice, 31, who was charged by the US Securities and Exchange Commission (SEC) and the Northern District of Texas Prosecutor's Office, confirmed at a court in Dallas that he provided unreliable information to investors and was not spending their money on developing his own startup, but used them to pay his accommodation in hotels, food and things. Rice is charged with three episodes of securities fraud and three episodes of electronic communications fraud. 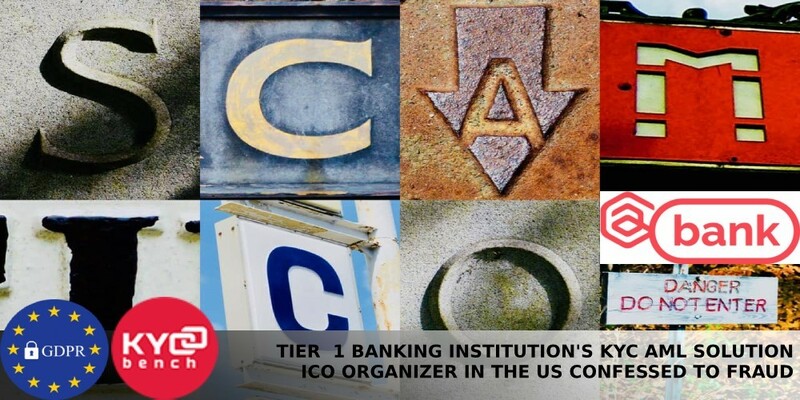 In January 2018, the SEC issued an order for termination of work and the need to return funds to investors to the AriseBank crypto project, which called itself a global decentralized bank. AriseBank falsely claimed that it had signed an agreement to purchase the insured bank of the Federal Deposit Insurance Corporation (FDIC) and the Visa payment system. AriseBank investors were promised from 10% to 20% of "guaranteed income", and also called themselves a bank, without having a banking license to work in the state of Texas. At that time, the regulator said that AriseBank was able to raise about $ 600 million, thanks in large part to advertising support from celebrities such as boxer and former multiple world heavyweight champion Evander Holyfield. Fraud charges are also brought against Stanley Ford, co-founder of AriseBank.